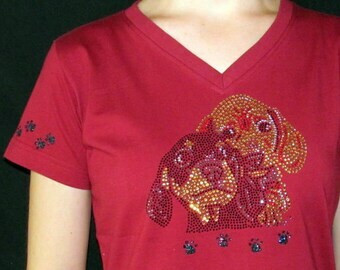 embellished with hand-painted red hearts with a touch of glitter! 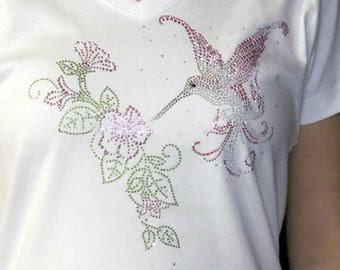 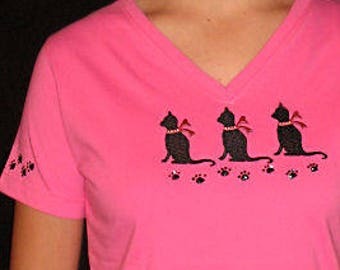 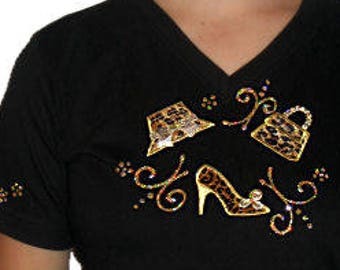 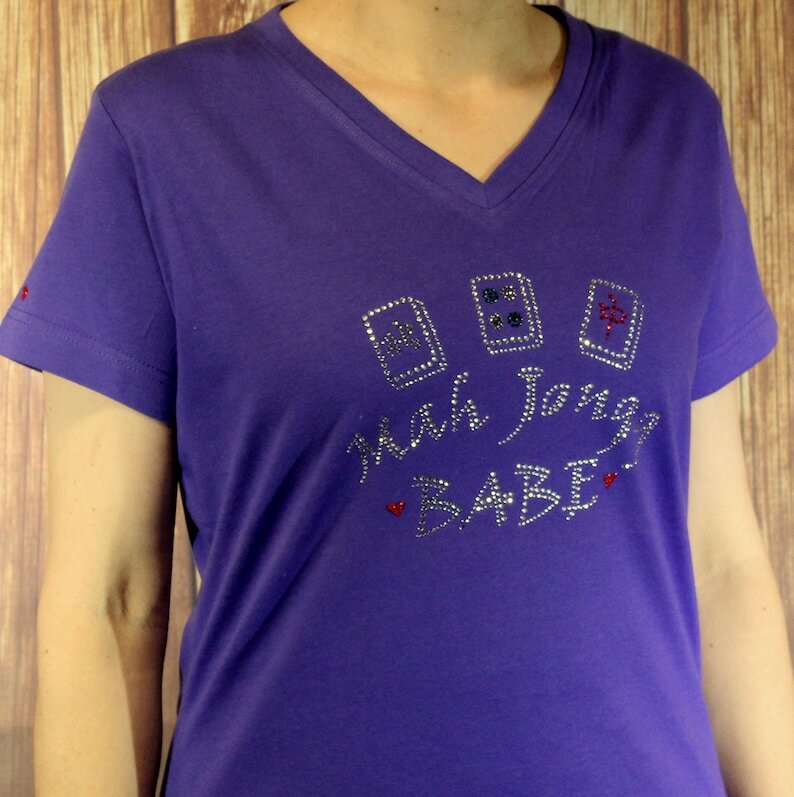 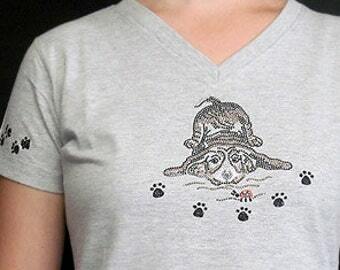 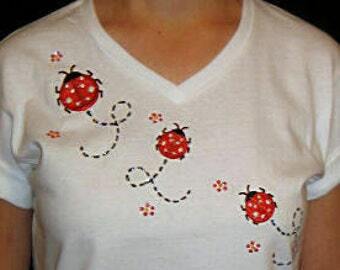 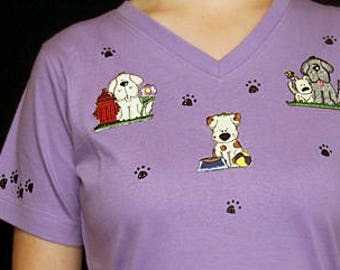 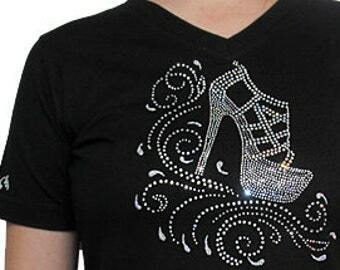 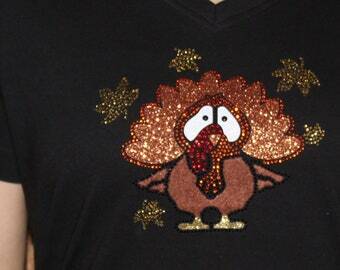 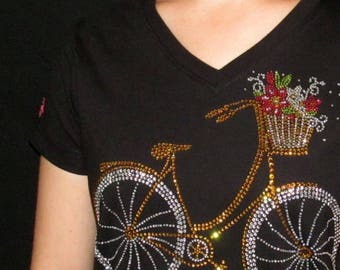 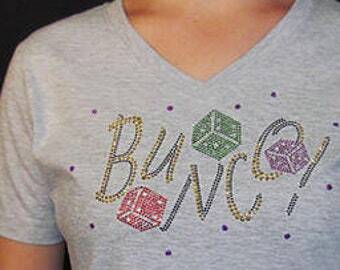 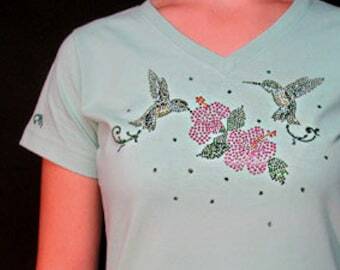 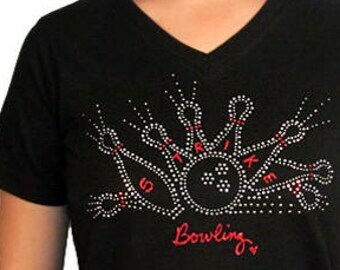 It is pictured on a purple ladies v-neck shirt by LAT. 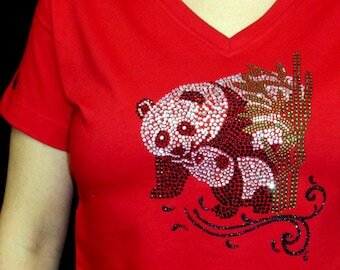 If you prefer a different color let me know!